Summer has officially arrived in Texas and I think Luke might have a busier social schedule than I do! I can tell this summer is going to be really fun since he’s older now and is all about getting out of the house! I thought you might enjoy a few pics from some of our days out and about! Night of George Strait concert at the Alamo Dome! Dress and nail appliques from Forever21, boots from Lucchese. SeaWorld visit and a story time at Crib & Kids. On a side note, one of the things I’ve been paying more attention to is my skin. Prior to being pregnant I really didn’t have any skin problems. But since having Luke my skin has decided to be super weird! Some weeks it will be oily and other weeks it will be super dry….it just can’t decide! Not to mention my big 3-0 is this year! And I’ve started to see some skin aging (boo!). Needless to say, I’ve kind of become obsessed with trying out different skin care lines. 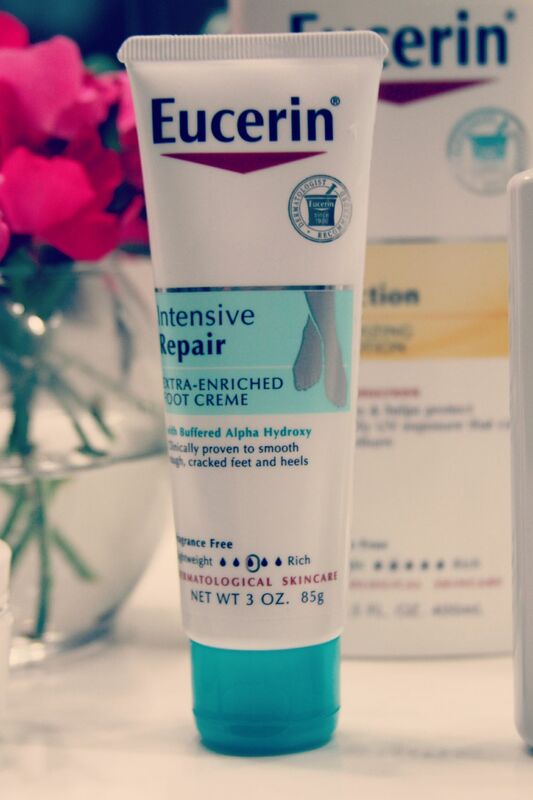 I recently had the opportunity to try out Eucerin and I absolutely LOVE it! They have this really neat tool to help you find the product that is perfect for your skin (try it by clicking here). Take a peek at some of the goodies I’ve been trying! While I love all of the products this is by far my FAVORITE! It is slightly thicker than their other products given it’s a creme. I’ve been using it every night! I was worried it might be too oily on my skin but it’s not at all. It actually absorbs in to the skin fairly quickly. The other day when we went to SeaWorld I put this on underneath my makeup. I was out in the sun the ENTIRE day, sweating, getting splashed by Luke with water, etc. And guess what?! I didn’t get sunburned at all! I couldn’t believe I didn’t have to reapply. I’m kind of embarrassed to admit but my feet are a wreck! Since having Luke one of the areas that I save money are by not getting pedicures. So when I saw this in my goodie bag I immediately started lathering my feet in it. In just a couple weeks my feet have already started to get so much smoother! I’m pretty sure they are thanking me! 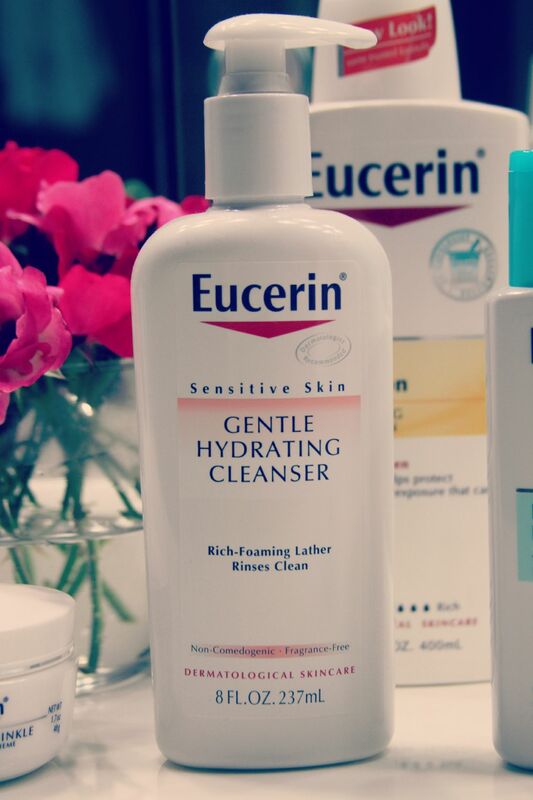 I’m using this hydrating cleanser every day to take off my makeup. I love how it makes my face feel so refreshed and clean!! As you can tell, I’m really enjoying this awesome brand! I highly recommend trying it! 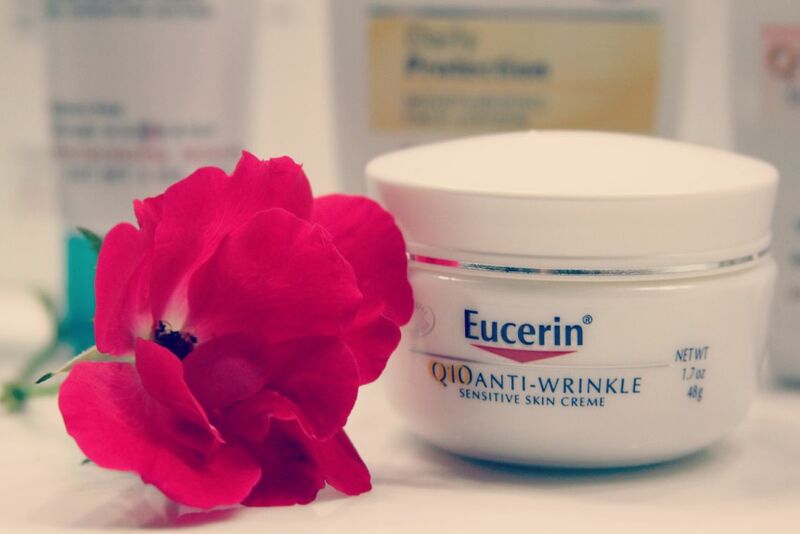 Disclaimer: Eucerin provided me a variety of products to try. All opinions expressed here are my own. From My Heart To Your Heart. A Jewelry GIVEAWAY! Help My Friend Get A Kidney Transplant! 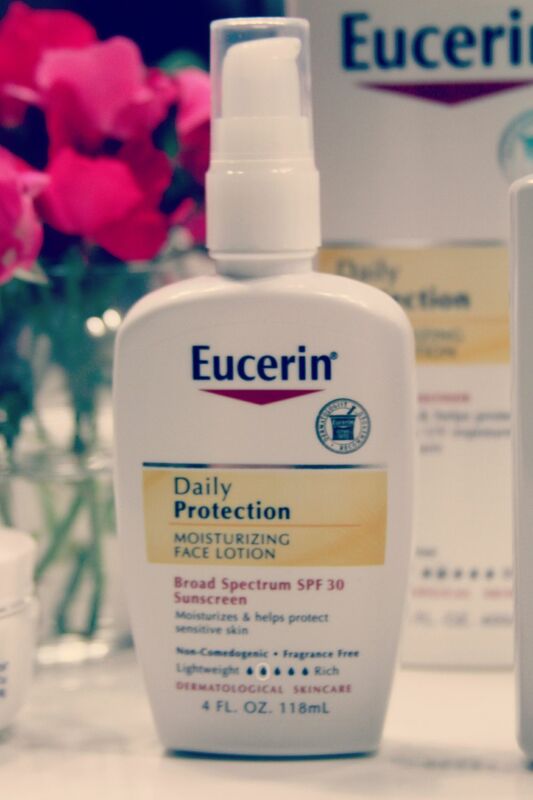 I’ve been using a face moisturizer with SPF in it everyday under my makeup for a number of years now. I love it because I never have to worry about getting sunburned when I’m unexpectantly out in the sun.